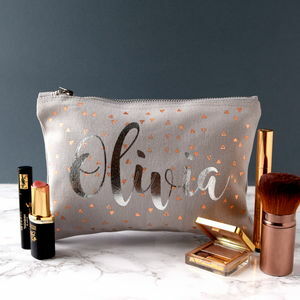 A fab accessory pouch that is personalised both inside and out. 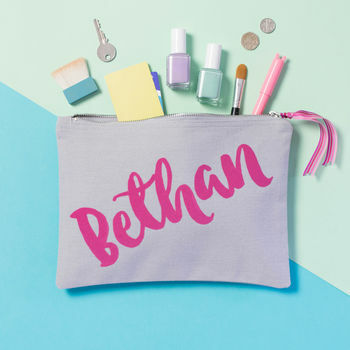 This personalised item can have a range of uses: an ideal gift for a teenager looking for somewhere to stash her make-up, or for the stylish individual who travels a lot and needs something to carry their wash items in or can even be used as a large pencil case for the arty person who has a lot of pencils! Make the pouch extra special by also opting to have a secret two worded message on the inside such as 'LOVE MUM' or 'LOVE YOU' or 'YOU'RE GORGEOUS'....the options are endless! 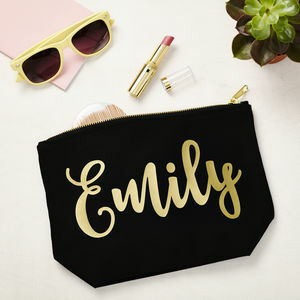 There is also an option to choose if you would like a ribbon topper added to the zip. 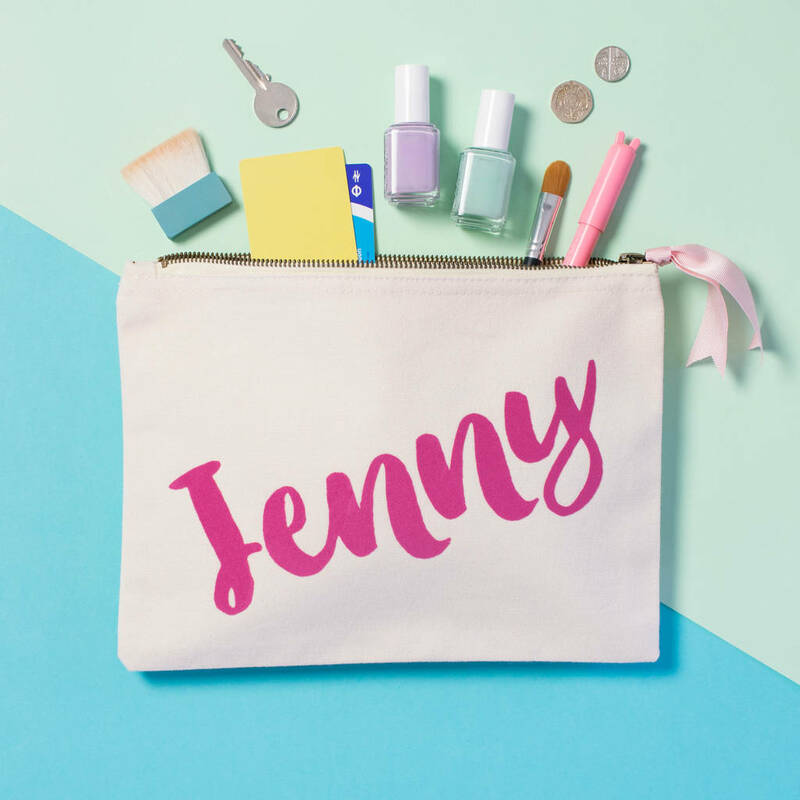 Each bag is personalised with the recipents name in a gorgeous scripted font. The shorter the name the larger it will appear on the bag. This bag is available in two colour choices: natural or black. The scripted font is availble in the colours available in the drop down menu to the right. 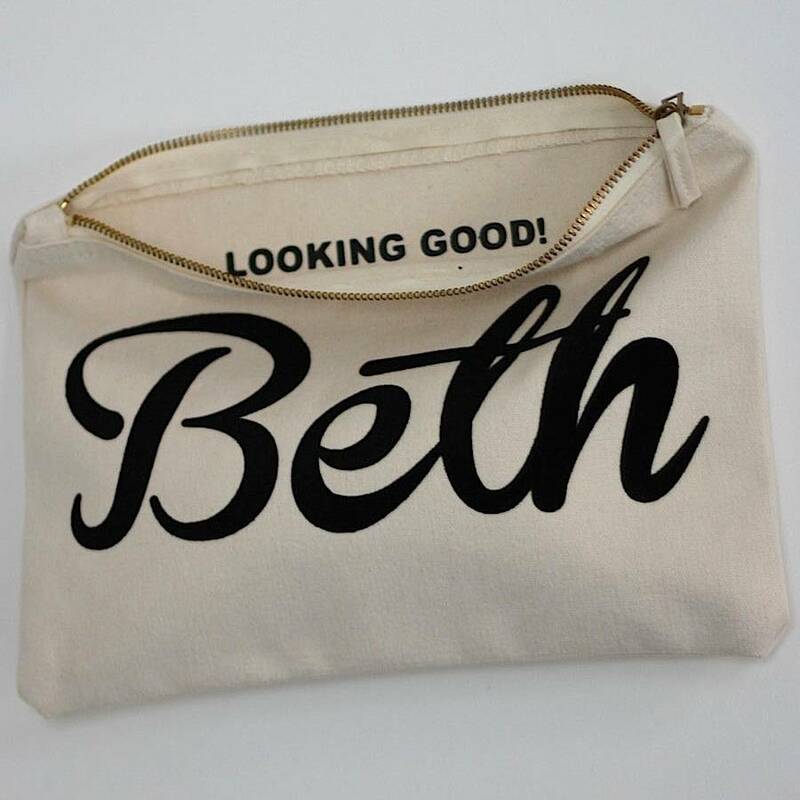 The inside message will be hand pressed in either white or black depending on the colour of the bag.